Channa Dal Vada is a popular South Indian tea time snack and a street food made using skinned split bengal gram i.e chana dal. 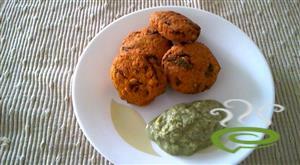 A mixture of spices are added to the coarsely ground chana dal mixture to make these crispy and flavorful vada. 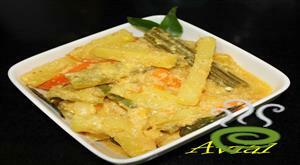 Vellarikka Chakka Kuru Curry is a delicious vegetarian side dish served with hot rice for noon day meals. The traditional styled Vellarikka Chakka Kuru Curry is a nutritious combo of jackfruit seeds and cucumber. Vellarikka Chakka Kuru Curry is unique and special with sliced vellarikka and jack fruit seeds cooked with an aromatic coconut mixture and seasoned with fried shallots. Vellarikka and jackfruit seeds are nutritious rich in vital nutrients required for body. 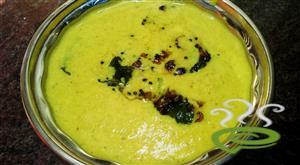 Vellarikka Chakka Kuru Curry is one of the easiest dishes to prepare. You can explore a well detailed Vellarikka Chakka Kuru Curry here. Sweet pineapple raitha is a refreshing sweet and sour raitha made from yogurt and fresh pineapples. in this recipe pineapples are being cooked in sugar syrup and then added to yogurt before serving. 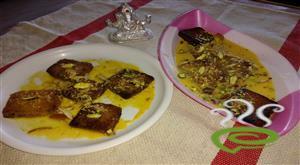 As this is a sweet raitha it is being recommended to serve with any spicy biriryani or pulav. It can also be chillied and served. Beef Liver Fry is an awesome and delicious accompaniment with hot rice. The spicy and flavorful Beef Liver Fry is a tempting irresistible dish. Beef Liver Fry is unique and special with cooked beef pieces roasted in a spicy masala mixture. Beef Liver is rich in protein and other vital nutrients required for body. Beef Livers are very economical for common man. 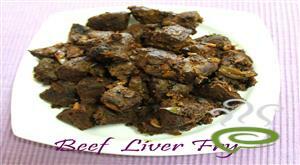 You can explore a well detailed Beef Liver Fry here that can be easily prepared at home. 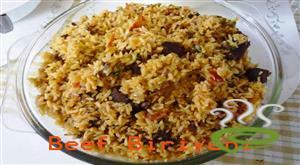 Easy Beef Biriyani is a very tasty Kerala dish cooked with readily available herbs and spices. Cooked spicy beef blended with fragrant rice is one of the most aromatic whole meals one will ever dream to savour. What makes Easy Beef Biriyani unique is the style of cooking, no hectic and time consuming dum technique required. 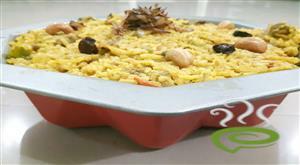 Easy Beef Biriyani dish comes in handy when unexpected guests arrive and you are obliged to treat them with something Special. Medium sliced beef pieces are combined with ginger-garlic paste, garam masala, other required ingredients and cooked in a pressure cooker. Fry basmati rice and keep aside. In a pressure cooker sauté onion, chillies, required ingredients and add 4 cups of boiling water. Stir in lightly fried rice, add salt and cook for 5 minutes. The rich, enticing flavour of Easy Beef Biriyani will be already filling the room. Enjoy the dish. 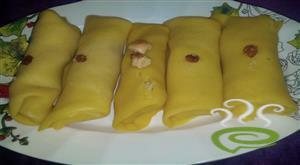 Its a malabar special snack, which is sweet and very tasty. 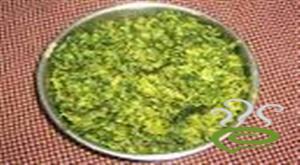 It is a tasty recipe which we can eat with rice ,chappathi,naan etc.It is full of vitamins and is good for health.It is a tasty recipe too.